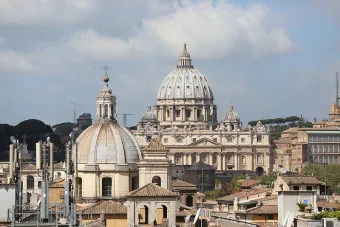 According to DW, an exemption was established in the beginning of 2012, which allowed for non-commercial Church properties to be exempt from paying an Italian municipal tax – the IMU. The case had been opened that year by a Montessori school and an owner of a bed-and-breakfast, who called the exemption unfair to properties offering similar services. In December 2012, the European Commission in Brussels declared the exemption to be unlawful. However, the court ruled that it would be too complicated to recover the money, as the tax database and Italian property title registry were not up-to-date. However, the European Court of Justice in Luxembourg overruled that decision this month, saying that Italy has the right to take back millions of euros, the Associated Press reported. On Thursday, Cardinal Gualtiero Bassetti, head of the Italian bishops’ conference, said the Church had not yet begun a discussion with the government, but “certainly some contacts will be necessary,” according to the Associated Press. Vatican City, Jul 23, 2017 / 05:07 am (CNA/EWTN News).- On Sunday Pope Francis said good and evil are often entwined, and that as sinners, we can’t label any one group or institution as bad, since we all face temptation and have the ability to choose which path to follow. “The Lord, who is wisdom incarnate, today helps us to understand that good and evil cannot identify with definite territories or determined groups of people,” the Pope said July 23. Jesus tells us that “the line between good and evil passes through the heart of every person. We are all sinners,” he said, and asked for anyone who is not a sinner to raise their hand – which no one did. Pope Francis spoke to the crowd of pilgrims present in St. Peter’s Square for his Sunday Angelus address, which this week focused on the day’s Gospel passage from Matthew, in which an enemy secretly plants weeds alongside the wheat in a master’s field. The image, he said, shows us the good seed that is planted in the world by God, but also the bad seed planted by the devil in order to corrupt the good. It not only speaks of the problem of evil, but also it also refers to God’s patience in the master, who allows the weeds to grow alongside the wheat, so that the harvest is not lost. Instead, the parable represents “the field of the freedom of Christians,” who must make the difficult discernment between good and evil, choosing which one to follow. On the other hand, patience means “preferring a Church that is the leaven of the dough, which is not afraid to dirty her hands washing the feet of her children, rather than a Church of the ‘pure,’ which pretends to judge before it’s time who is in the Kingdom of God and who is not,” he said. Both of these attitudes are necessary, he said, stressing that no one is perfect, but we are all sinners who have been redeemed by Jesus and his sacrifice on the cross. Jesus also teaches us a different way of looking at the world and observing reality, he said. In reflecting on the parable, we are invited to learn God’s timing and to see with his eyes, rather than focusing on our own, narrow vision. After leading pilgrims in the traditional Marian prayer, he voiced his sadness over “serious tensions and violence” in Jerusalem over the weekend, which have left seven people dead. The deaths were the result of protests that were prompted by the placement of metal detectors at the entrance to the compound housing al-Aqsa mosque in the city, and have prompted world leaders to call for restraint on either side before the situation boils over. Vatican City, May 4, 2017 / 06:14 am (CNA/EWTN News).- Pope Francis told the Vatican’s Secretariat for Communications, which is holding their first plenary assembly this week, that given a growing digital culture throughout the world, new media must become a primary platform for spreading the Gospel. “Studying new ways and means to communicate the Gospel of mercy to all people, in the heart of different cultures, through the media that the new digital cultural context makes available to our contemporaries” is something that is “very much in my heart,” Pope Francis said May 4. 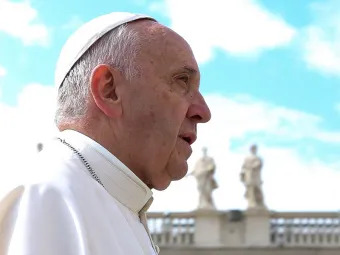 He spoke to members of his Secretariat for Communications, which was formed in June 2015 as part of his ongoing reform of the Roman Curia, during their first plenary assembly. The assembly is taking place May 3-5 at the Vatican and gathers members of the secretariat, which is headed by Msgr. Dario Edoardo Vigano. More than just merging the Vatican’s various communications entities, the secretariat has the task of building “a truly new institution” that has arisen from the need for a “so-called ‘digital convergence,’” he said. As of now the paper operates primarily in daily and weekly print format, with a limited online presence in its various languages. “The work is great, the challenge is great, but it can be done. It must be done,” he said, stressing the need to for a willingness to work together as all of the changes and merges take place. 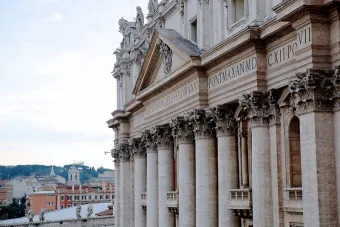 One of its primary responsibilities is the restructuring and consolidation of the Holy See’s various communications outlets, which were previously ran as individual offices. 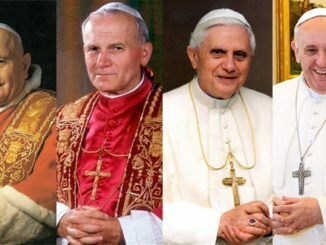 The dicastery will eventually oversee Vatican Radio, L’Osservatore Romano, the Vatican Television Center, the Holy See Press Office, the Pontifical Council for Social Communications, Vatican Internet Service, the Vatican Typography, the Photograph Service, and the Vatican publishing house. Vatican City, Feb 22, 2018 / 12:55 pm (CNA/EWTN News).- Addressing youth around the globe, Pope Francis encouraged young people Thursday to face their fears with discernment and courage, looking to the Mother of God as their example.